This is the first sourcebook to trace the emergence and evolution of art markets in the Western economy, framing them within the larger narrative of the ascendancy of capitalist markets. Selected writings from across academic disciplines present compelling evidence of art’s inherent commercial dimension and show how artists, dealers, and collectors have interacted over time, from the city-states of Quattrocento Italy to the high-stakes markets of postmillennial New York and Beijing. This approach casts a startling new light on the traditional concerns of art history and aesthetics, revealing much that is provocative, profound, and occasionally even comic. This volume’s unique historical perspective makes it appropriate for use in college courses and postgraduate and professional programs, as well as for professionals working in art-related environments such as museums, galleries, and auction houses. 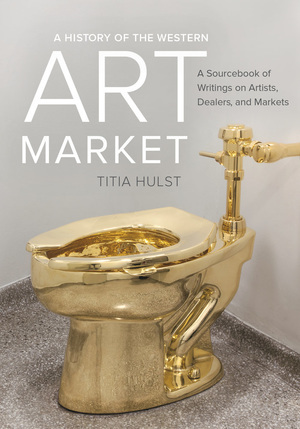 Titia Hulst is a modern and contemporary art historian. She holds a PhD from the Institute of Fine Arts and an MBA from New York University. In addition, she teaches art history at Purchase College in New York.